We have probably all been on trains or buses when there’s someone nearby who has had a little to much of the falling down water. Most of the time they are harmless but some are far from that. 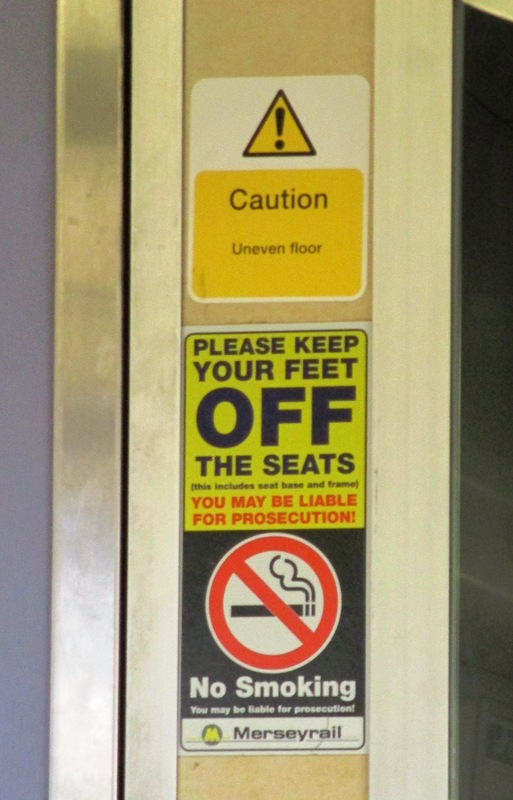 I applaud Merseyrail for trying to identify those who are simply not fit to travel because they are a danger to themselves and everyone else on the train. The fact that in this story a drunk got violent, sadly injuring Merseyrail staff, kind of makes my point i.e. he was obviously unfit to travel. Clearly he needs tracking down and charging with assault, maybe that will sober him up! As an aside I once got a train back from Liverpool to Maghull late in an evening and had a happy drunk sat not so far away from me. He entertained us all by trying to eat chips when he could not easily work out where his mouth was nor could be stay awake between the chips that did find his mouth. 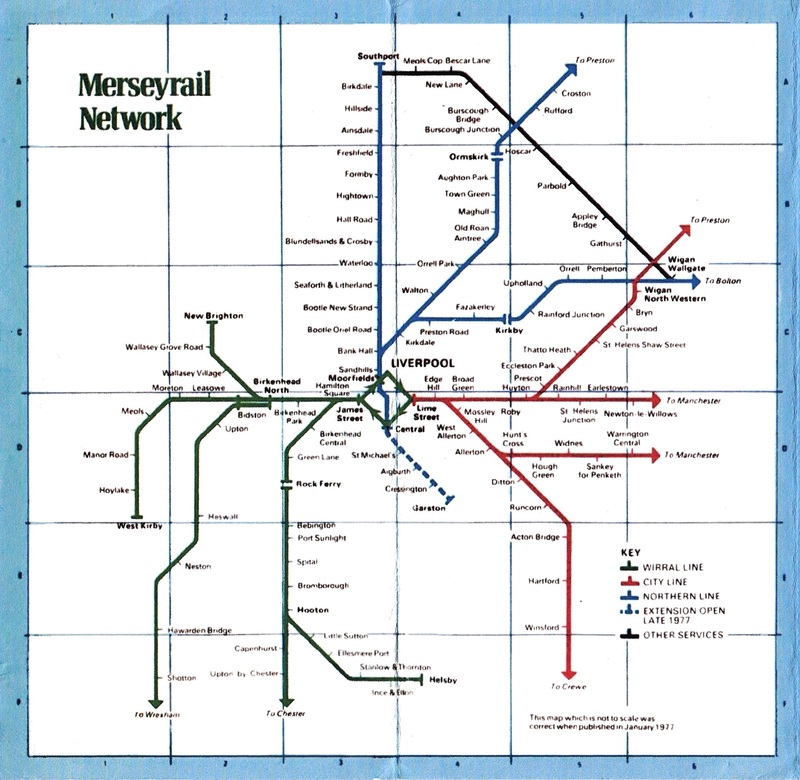 I recently picked up an old publicity map of Merseyside’s local railway network published in 1977 at a time when it was being substantially redeveloped as an underground railway within Liverpool City Centre. 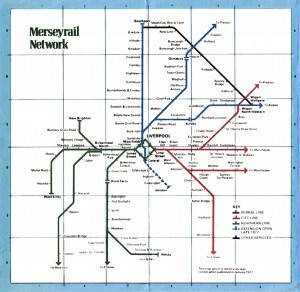 You can see from the main map that the electrified services only reached Rock Ferry back then on one of the Wirral Lines (in Green). Extensions were subsequently constructed to both Chester and Ellsemere Port in later years. An additional station also appeared along this line at Bromborough Rake and a further one at Overpool on the Ellsemere Port extension. Conway Park Station is an addition to the Network too. Upton-By-Chester Station has since been replaced by Bache Station about half a mile away from it. The Northern Line line (in Blue) now terminates in Liverpool’s southern suburbs at Hunts Cross. 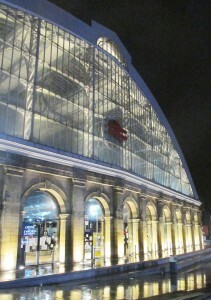 This extension from Liverpool Central Station (which was an overground station until the 1970’s but is now underground) along the tracks of the former Cheshire Lines Committee was yet to be completed at the time the map was drawn. Also, this southern end of the Northern Line gained a new station at Brunswick (first stop out of Liverpool) whilst Garston Station has since been replaced by Liverpool South Parkway. Of course the former Liverpool Exchange Station was lost as a consequence of this 1970’s redesign of Merseyside’s railway network and it was replaced by Moorfields Station which is close to it but underground. The presently named Rice Lane Station on the Liverpool – Kirkby Northern Line (in Blue) was called Preston Road Back then. 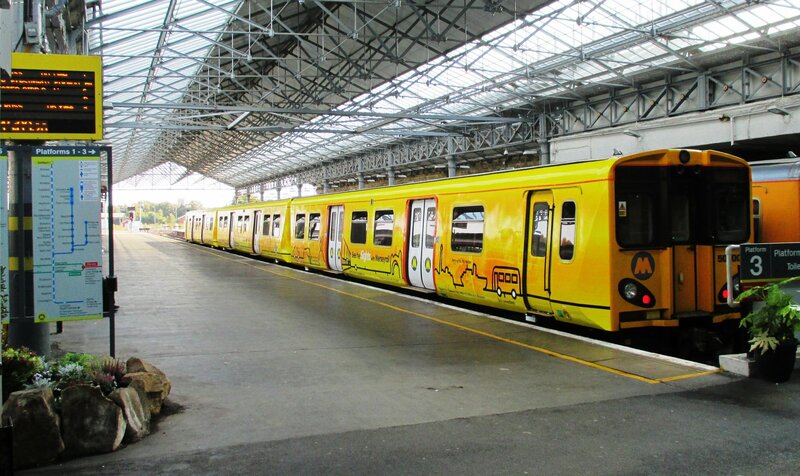 The next significant addition to the Merseyrail Network of electrified lines will be the soon to be constructed Maghull Station on the Northern Line to Ormskirk. It’s name clearly identifies its location i.e. north of the present Maghull Station which is beyond its capacity at rush hours. Just a bit of recent Merseyside railway history, please feel free to comment particularly if I have got anything wrong. With thanks to Cllr. John Dodd for the lead to this story. This is an interesting development in the long-running saga of the substantial refurb’ of Liverpool’s Moorfields Underground Station but what jumps out at me is the extra £4.4m to be spent on this station by Network Rail. The Liverpool Echo article – see link above – does not mention where this extra money is coming from. 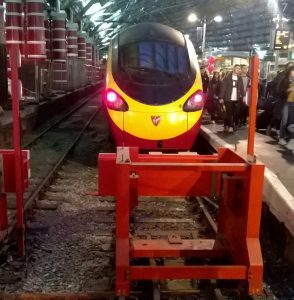 The obvious question is, are any other Merseyside rail projects going to suffer from this ‘extra’ money being ploughed into Moorfields? On the basis that money is tight all round there must surely be a consequence of spending more than 50% extra on a project than originally envisaged. 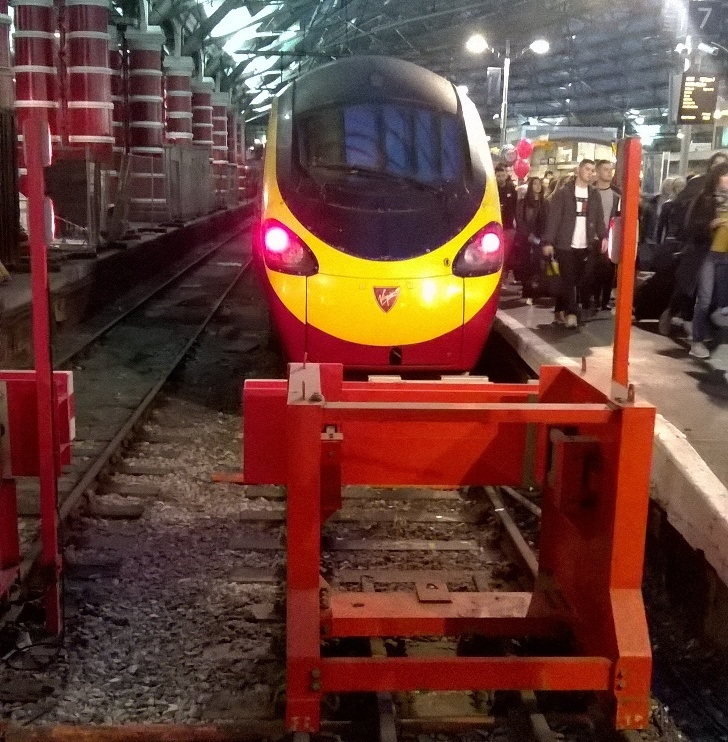 Can Network Rail explain please? Merseyrail – No feet on the seats but it’s OK for penguins and chimps! 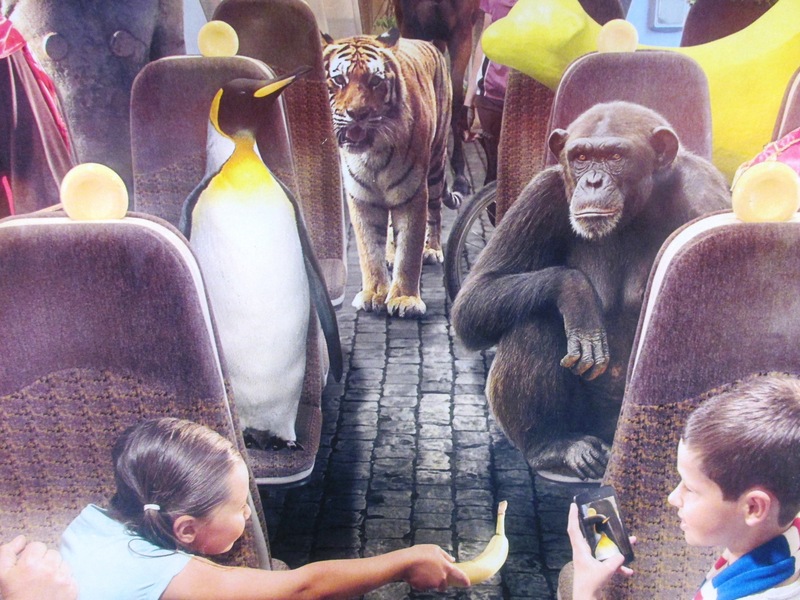 Does this not clearly indicate that if you are a chimp or a penguin that feet on the seats is actually OK? !